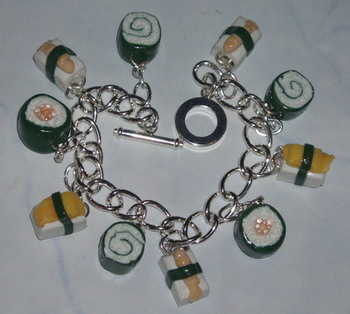 Sushi Dream Charm Bracelet with assorted Miniature Fimo Clay Sushi charms on a silver plated link bracelet with a toggle clasp. Each Sushi handmade charm is a work of art. Fun to wear and very fashionable.